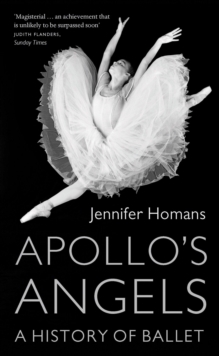 Apollo's Angels is a major new history of classical ballet. It begins in the courts of Europe, where ballet was an aspect of aristocratic etiquette and a political event as much as it was an art. The story takes the reader from the sixteenth century through to our own time, from Italy and France to Britain, Denmark, Russia and contemporary America. The reader learns how ballet reflected political and cultural upheavals, how dance and dancers were influenced by the Renaissance and French Classicism, by Revolution and Romanticism, by Expressionism and Bolshevism, Modernism and the Cold War. Homans shows how and why 'the steps' were never just the steps: they were a set of beliefs and a way of life. She takes the reader into the lives of dancers and traces the formal evolution of technique, choreography and performance. Her book ends by looking at the contemporary crisis in ballet now that 'the masters are dead and gone' and offers a passionate plea for the centrality of classical dance in our civilization. 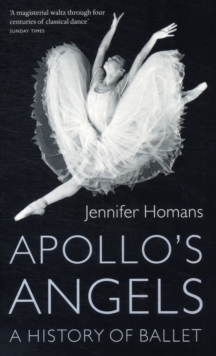 Apollo's Angels is a book with broad popular appeal: beautifully written and illustrated, it is essential reading for anyone interested in history, culture and art.